Six Sigma is a business process improvement system uniquely characterized by its Define, Measure, Analyze, Improve and Control (DMAIC) steps implemented through a customer-focused, data-driven, robust methodology. Understanding quality issues that are critical to customers. Designing and manufacturing to ensure defect-free products or services are delivered to customers by improving process capability and reducing variation to ensure a stable business process. Unlike Lean Manufacturing which focuses on “speeding” the process, Six Sigma looks at improving process accuracy and effectiveness. 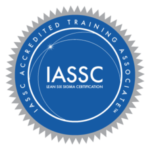 The OSSS curriculum is Accredited by the International Association for Six Sigma Certification (IASSC) meaning the OSSS Belt courses are highly aligned to the IASSC Bodies of Knowledge. In addition, a study conducted in coordination with Bearing Point Consulting determined that the OSSS curriculum matched the DMAIC ASQ Body of Knowledge to a degree greater that 90%. 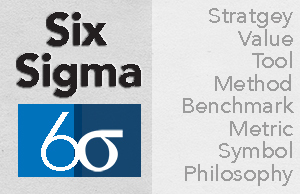 Not sure which Six Sigma Certification you need? UAH-ATN staff are available (256.824.5326) to discuss your interest along with our Six Sigma Instructor – Dr. Sampson Gholston at 256.824.7310. For questions about accessibility or to request accommodations during the workshop, please contact us at Customer Service or call 256-824-5326. Two weeks advance notice will allow us to provide seamless access.